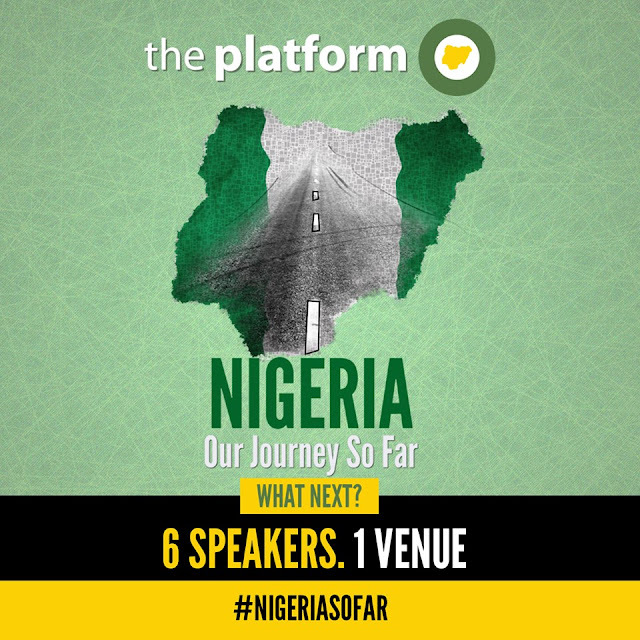 Come October 1, The Platform Nigeria will host a group of important dignitaries who will be speaking on the theme "Nigeria, Our Journey so far: What Next?" The Platform Nigeria is a global media event powered by Covenant Christian Centre. The vision of this initiative is to stimulate and inspire Nigerians, by facilitating the development of the proper mind-set and right thinking processes through learning sessions that enable optimal utility of opportunities available to them in the Nation. The theme of this event is Nigeria, Our Journey so far: What Next? The event will be taking place at The Covenant Place, Iganmu. Time is 9.00a.m. Date is October 1, 2015. The event will be broadcast live on TV and streamed live on the Internet. Details of this will be revealed soon.